SINGAPORE - Parkway Parade reopened on Friday (May 20) morning, after a four-day closure following a fire at the shopping mall late on Sunday night. "We are pleased to announce that Parkway Parade mall is now open, following the rigorous testing, clean up and rectification works due to a fire incident that recently closed the mall," it said in a press release. The building and its carpark remained closed from Monday to Thursday for repairs to its fire protection system. Only the adjoining office tower and banks on level one were opened during this period. The mall had said that the cause of the fire was under investigation. 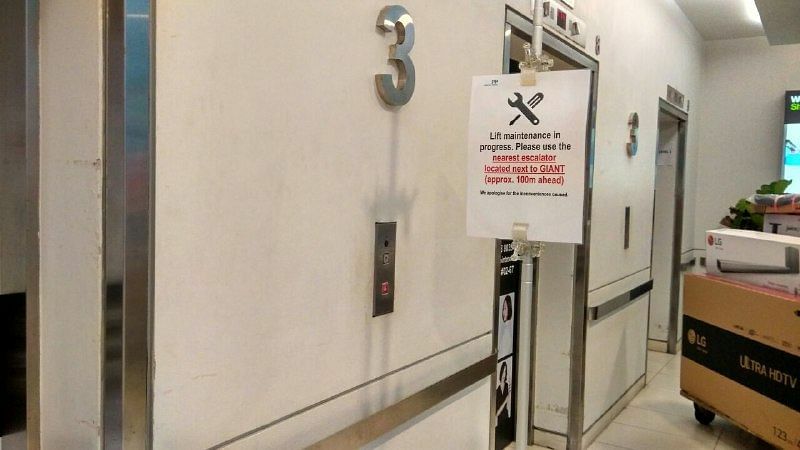 A mall employee also said that some lifts and escalators were shut down for maintenance as they had been affected by the fire. Many of the shoppers spotted at the mall after its reopening were Marine Parade residents and regular visitors who expressed relief that they could return to their usual routines. Housewife Namita, 36, said the mall's closure had been very inconvenient for her as she lived nearby and visited the shops regularly. "I didn't go out at all the past couple of days - was just waiting for the mall to reopen," she said. Department store Isetan, meanwhile, has only opened its first floor to customers. Its second level will remain closed for the next two or three days for staff to clean up the store further. 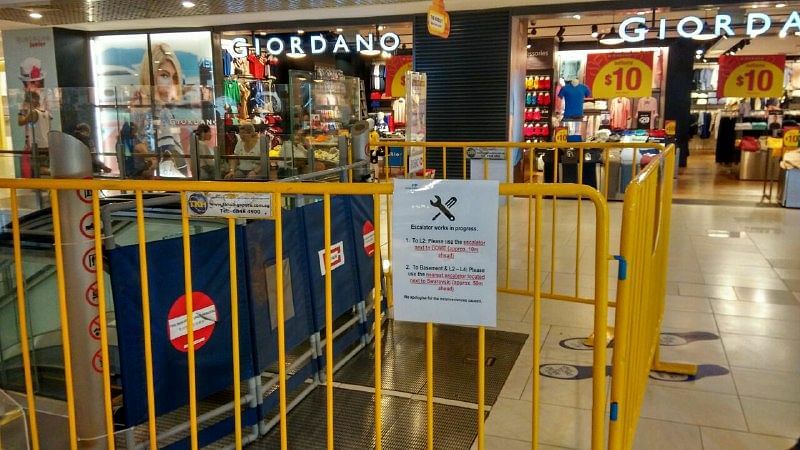 Housewife and Marine Parade resident Stacia Tan, 47, said she and her husband waited outside Isetan for 10 minutes until mall staff told her it would not be open. "They didn't put any signage to say it's not open. The mall should have put a sign to say which shops are open and which shops are not," she added. Ms Pren Kumar, a legal executive who lives in Telok Kurau, spent an hour shopping for groceries in the mall on Friday morning. "The mall was normal, although I smelled a bit of cleaning solution as I walked around. Otherwise, I didn't notice anything out of the ordinary," said the 36-year-old. Ms Jenny Khoo, General Manager of Parkway Parade, said: "The Management team at Parkway Parade is very thankful and appreciative of the support, understanding and patience of our retailers, shoppers and occupants... I would like to apologise for all the inconveniences caused during this period." A team of experts has been formed to facilitate the cleaning, testing and rectification works, which include recovery works to the fire protection and electrical systems, Ms Khoo said, adding that some rectification works are still ongoing in parts of the mall. "Today, we are pleased to welcome shoppers back to Parkway Parade. The mall will have a marketing campaign, with details in its Facebook page and website over the next few weeks," she added.